Visitors can take a scenic walk through ancient Florida coastal woodlands and learn about native flora and fauna. The Guana Tolomato Matanzas (GTM) Research Reserve offers a free guided trail walk through the River-to-Sea Preserve near Marineland on Friday, April 19, 2019. A GTM Research Reserve interpretive guide leads the trail walk, pointing out shorebirds, mollusks, and shells, as well as how Native Americans lived in the area. Tour participants will also learn about the make-up of coquina rock, how beach vines and sea oats help anchor dunes, and why the dune ecosystem needs protection. Guests meet the interpretive guide at the River-to-Sea Preserve parking lot, just south of the town of Marineland. Participants are asked to wear comfortable walking shoes. Admission: Free, but reservations are required. Visit here to reserve a spot on the tour. When: From 9:00 to 11:00 a.m. on Friday, April 19, 2019. Where: The tour departs from the parking lot of the River-to-Sea Preserve, located at 9805 N Ocean Shore Blvd Marineland, FL 32137. 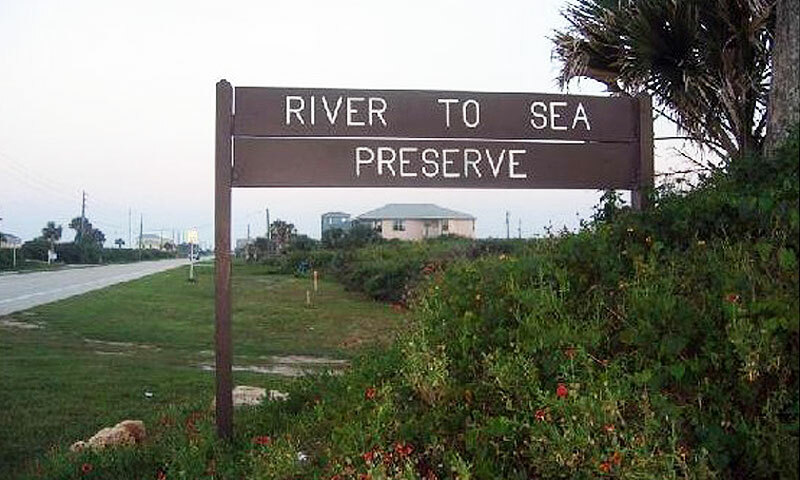 Look for the River-to-Sea Preserve sign located on the west side of A1A at the southern end of the town of Marineland. A directional sign for the tour will also be placed at the entrance. GTMNERR is a protected stretch of land consisting of wetlands, estuaries, and more on Florida's East Coast that actively works to maintain and help preserve the natural landscape of Florida. The GTMNERR's volunteers and employees are dedicated to the preservation of an unspoiled and undeveloped natural treasure, supporting a vibrant ecosystem and subsystems. Please visit here for more information on the GTMNERR.